Let me hasten to add: Rust is beyond appealing to photograph, yes. In real life applications? Not so much. But rusty old relics were once shiny new things, weren’t they? It’s Useless to Resist These Relics. And Why Would You? I’m with you on the rust. It can be incredibly beautiful! I love that wheel. Thanks, Terri. It’s a mystery to me why artists love rust, but I’d venture that the contrasts, textures and colors really draw us in. What do you think? All of that. I mean, wouldn’t you give anything to be able to replicate the layers of color that you see in rust? One of my posts about the Museum of Making has lovely rust photos. I love the museum, but the rusty old equipment outside is my favorite to photograph! and they’re beautiful in an ethereal, soft, abstract way. Frameworthy indeed. The quilts in your next post are stunning, too! Lots of creativity up there in the cold in Calgary. Nice to make your creative acquaintance. Nice meeting you too! 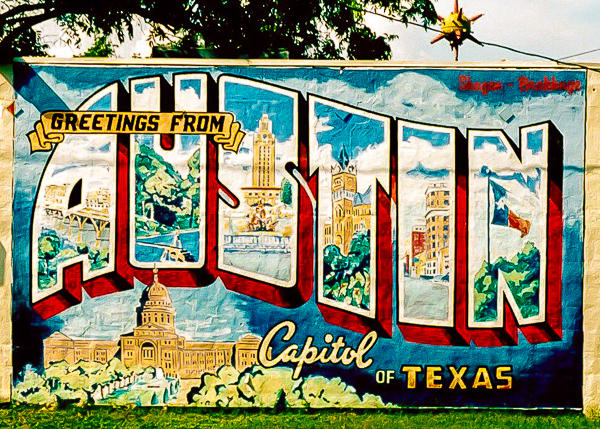 I love Austin – only been there once but had a great time. Let me know if you ever make it “up north”! And you too, if you ever get south for some heat! There is something about rust that draws me in every time. I love the Pearl cooler box! And I’ve photographed a rusty chevy I found out in a field that I love. Judging from the feedback I’m getting, we aren’t the only ones. Thanks for commenting. I found that Pearl brewery cooler box in Maine, of all places–a long way from home. Share the link to your rusty Chevy photo? Jann, nice to be here. It’s very true that whatever is shining today is awaiting wear and tear. Thanks for visiting. Got something in mind that’s getting a bit less shiny? Its nice to have your response. I just thought of life as an object in transient. Thanks, Madhu, aren’t they? The rust process is so fascinating to me. Have you got a link to some rusty subjects you’d like to share? LOL and thanks for giving rust a second chance. Lovely shots! Great composition and colors! Thanks for your enthusiasm, Connie! There is beauty in the everyday and mundane as you have shown. Thanks, Sally, I couldn’t agree more. The rustier, the better! Quite the contradiction, I think, which makes it all the more interesting to me. What is it about rust?? Thanks for visiting.